Millions people worldwide do yoga. 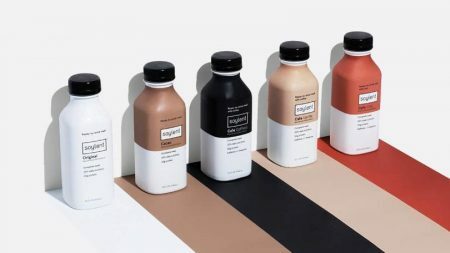 Somebody considers yoga as a merely way to keep themselves fit, but for others it is a lifestyle with rules and philosophy. Due to latest, the new spiritual practice, accompanied by pets, has been established. Yoga as a system of exercises was developed in India thousands years ago. People had observed animals, studied their poses, motion, how they breathe and relax. The great number of asanas (Yoga’s poses) even has animal’s names. For example there are poses of dog, lion and tiger. However this way of cooperative exercises as “human and animal” appeared in modern world. 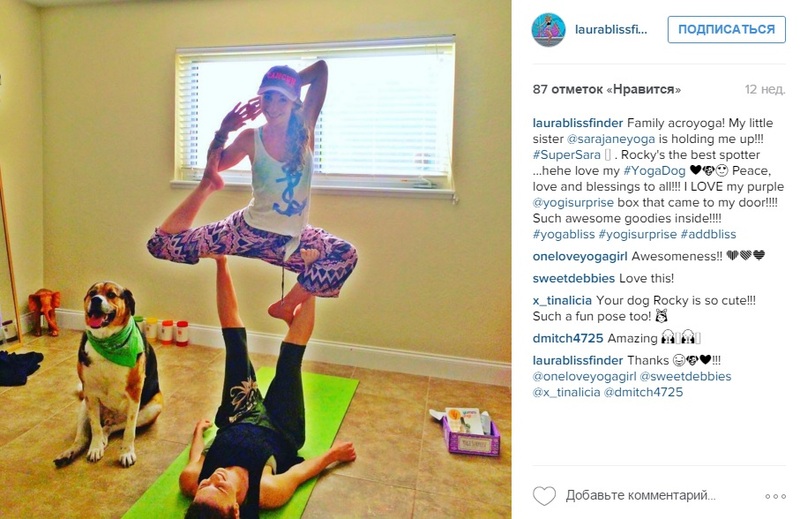 Everything begun playfully: “Let me post a picture on Instagram – I’m in lotus pose with my cat”. These shots gradually have overflowed social network. 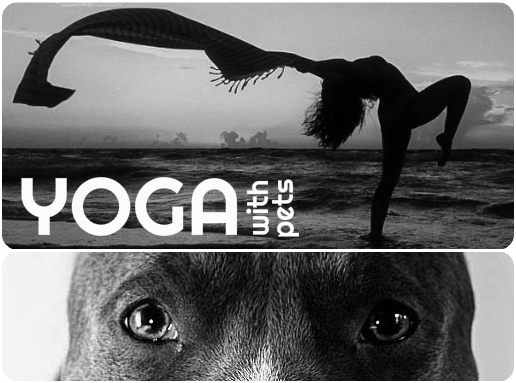 There are 24 thousand pictures with hashtag #yogawithpets. Most popular are dogs and then go cats. Eastern Yoga instructors treat seriously to this tendency. 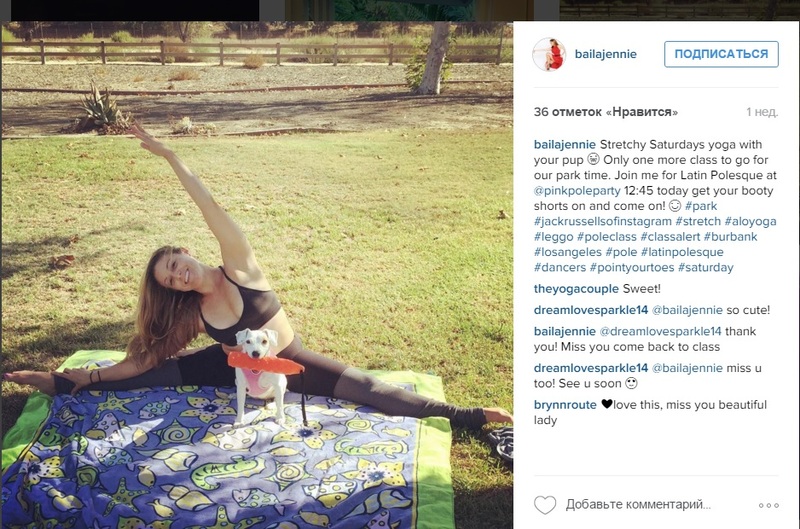 Guru from Florida, Naya Rappaport has developed 15-days system with pets under hashtag #yogapetcompanion. Every day girl posts picture on Instagram with a new pose and description. People, who want to join public, should post their own video or photo of exercising with pet. Under that, they could inform about pet-companion. Naya Rappoport – is a yoga guru, photograph and volunteer in animal shelter from Florida. (Instagram – @nayatavp). Pets: pit bull Princess and cat Shax. In her posts Naya tells to subscribers stories about her pets. Besides origin descriptions and fun-stories from life, she asserts about their importance in yoga exercises. Cat is a spiritual mentor (#mentor#yogaguru), dog is a “cure”, which assists to keep balance. 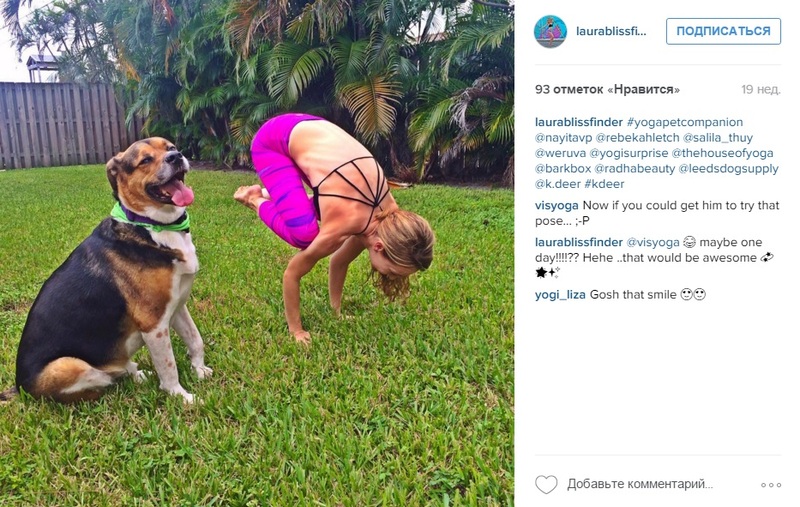 Using activity in comments of Naya account, we have found another one instructor who is fond of animals and posts photos of yoga with pets on Instagram. Jennie Gonslalez – is a choreographer, fitness – instructor and dogs fan from Florida. (Instagram – @bailajennie). Pet: dog Lilly. 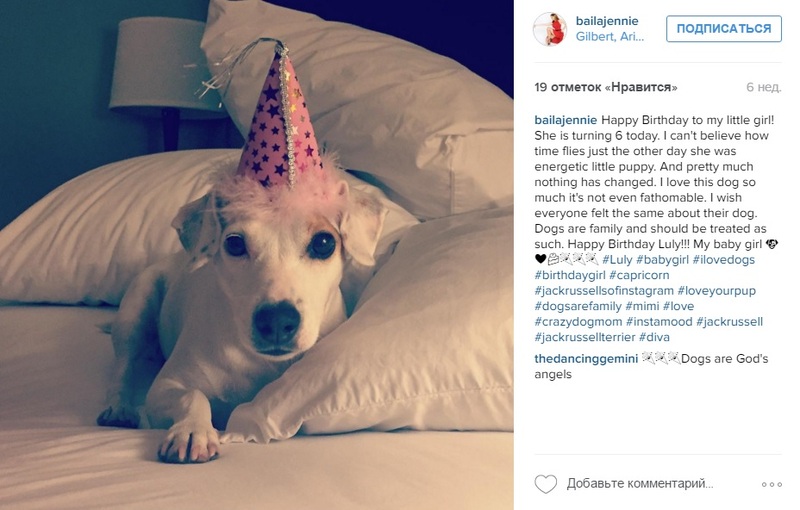 Jennie believes that a dog is not just a pet, but real family member. Therefore it is quite ordinary to exercise with someone of relatives. However, not only gurus, but amateurs of yoga apply “human and animal” practice. 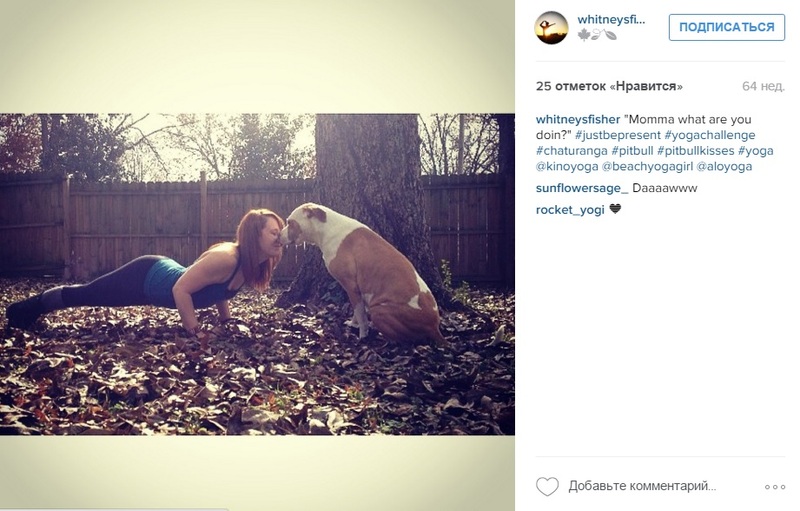 Whitney Fisher shares Naya attitudes, and considers her pit bull Hobbs plays essential role in her life and that’s why she always takes it to trainings. Whitney Fisher – is studying law, does yoga and loves animals. Instagram – @whitneyfisher. Pet – pit bull Hobbs. Posts from another one account have been placed under hashtag of exercise system #yogapetcompanion. Laura Hages – is a dance and yoga instructor from Florida. She prefers to live freely and gracefully. Instagram – @laurablissfinder. Pet – dog Rocky. In the end of our Popsop research we make a conclusion, that the new form of physical and spiritual practice #yogapetcompanion is becoming still more popular. 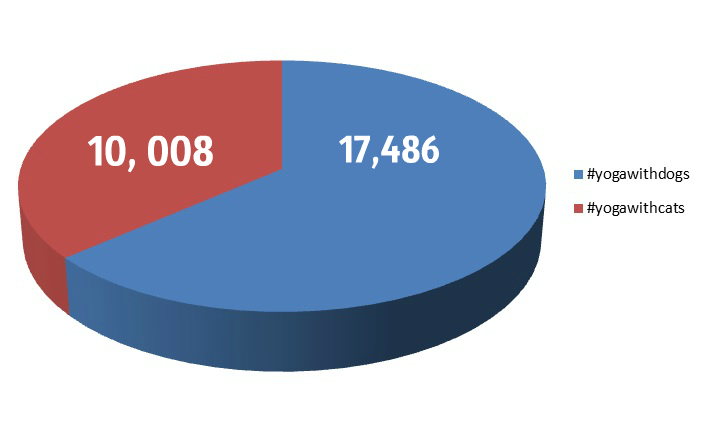 There are not about hundreds but thousands similar accounts. Eastern gurus and other adherents of its old Indian philosophy can neither live nor do Yoga without their pets. 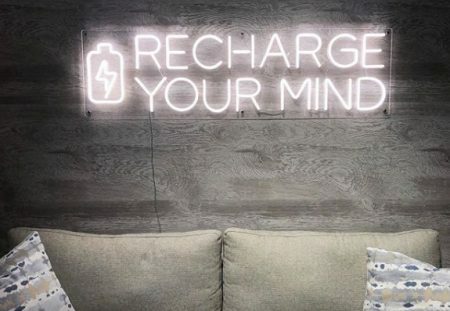 Posted in Trends and tagged Florida, Instagram, pets, yoga. Bookmark the permalink.